Happy Earth Day fellow Earthlings! Considering the focus of my blog, it would be odd if I didn't mark the day in some special way. 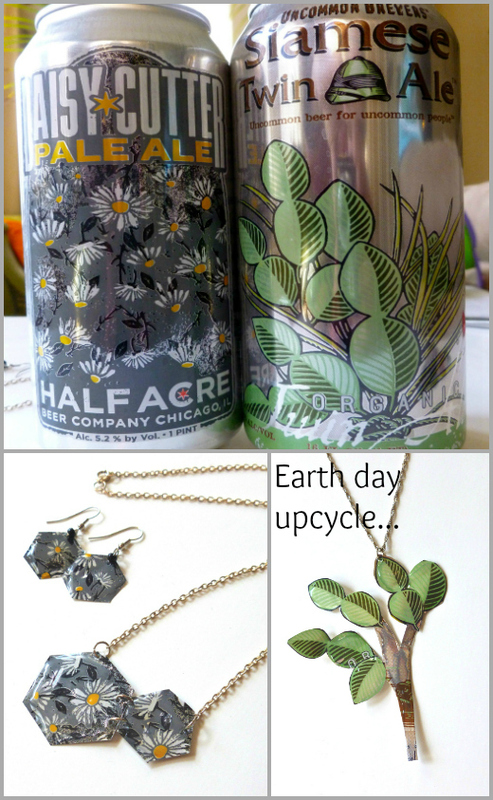 So I took inspiration from my latest favorite material (aluminum cans) and made some nature-inspired jewelry to give you. Are you surprised that they're beer cans? Craft brewing in the US seems to have revolutionized not only beer but the beer-can "aesthetic" too. My little grey hexagons (honeycombs!) are care of Half Acre's Daisy Cutter (Chicago) - a long-time favorite of mine. The tree materialized out of my newest find: Uncommon Brewer's Siamese Twin Ale (Santa Cruz). Over the next couple of days I'll post some simple instructions on how to make these pieces yourself. But today, I'm focussing on giving them to you. There will be TWO winners. 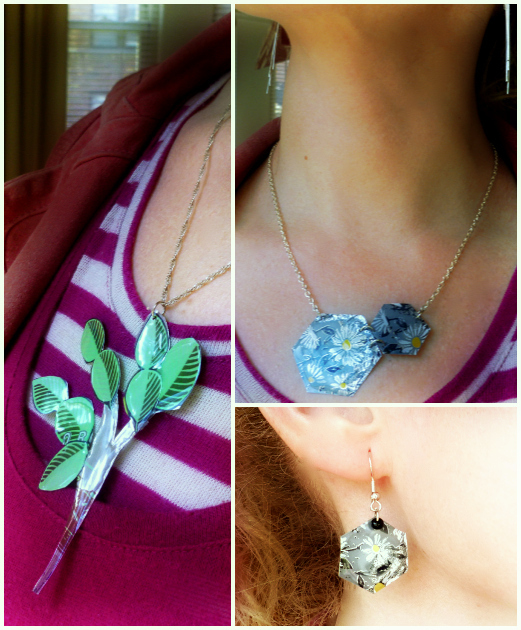 Someone will get the grey daisy set (necklace and earrings). I'll draw again for the tree. The images below aren't great - they're to show you scale only. The colors and detail you see in the images above are true. 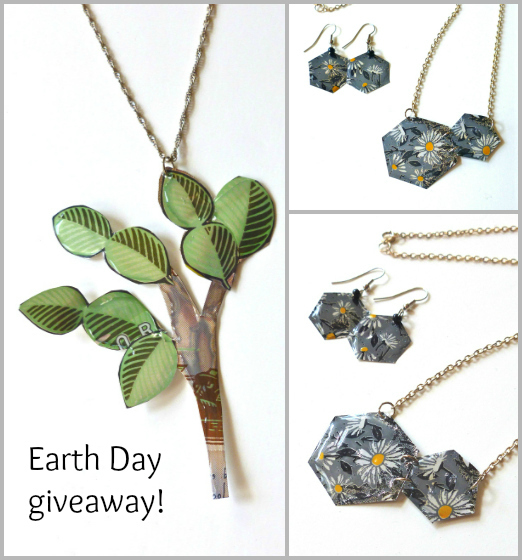 Giveaway details: Giveaway opens 12:01am EST Mon, 4/22 and ends Sat, 4/27 at midnight. TWO WINNERS announced Mon 4/29. It's easy to score multiple entries and increase your chances of winning - see below for details... (Open to the citizens of Earth, 18 and older.) Yes, I'm happy to ship this anywhere USPS ships!